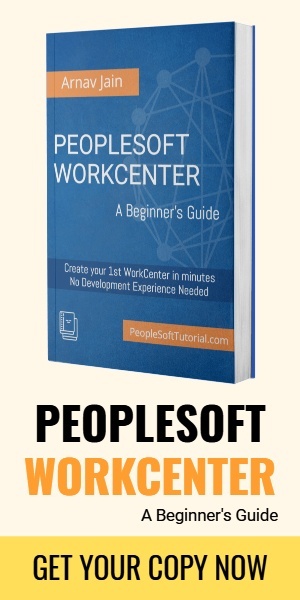 In our past posts, we have already discussed about the changes in PeopleSoft Login Page, PeopleSoft Change Assistant & PeopleSoft Application Designer that were introduced with PeopleTools 8.54. In this post, lets quickly review the new features for PeopleSoft Process Scheduler. 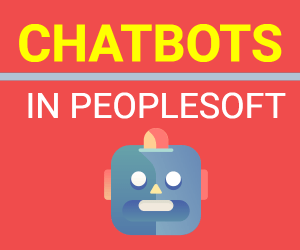 In almost all the organizations using PeopleSoft applications, PeopleSoft Process Scheduler is widely used for running processes and any new features added to it, have a significant impact on overall architecture. Here we have listed new features of PeopleSoft Process Scheduler introduced with PeopleTools 8.54. PeopleSoft 8.54 supports the distribution or transfer of report files and deleting or purging directories with FTPS and SFTP servers. FTPS (also known as FTP-ES, FTP-SSL and FTP Secure) is an extension to the commonly used File Transfer Protocol (FTP) that adds support for the Transport Layer Security (TLS) and the Secure Sockets Layer(SSL) cryptographic protocols. When choosing FTPS, you can also select the SSL mode as either Explicit or Implicit. Default SSL mode for FTP is set to explicit and can’t be changed. SFTP (Simple File Transfer Protocol) can be used to transfer report files and it can be configured in Active mode or Extended Passive mode. Report Node Definition page has only one tab now. Until PeopleTools 8.54 there were 2 separate tabs for HTTP Distribution Node and FTP/Xcopy Distribution Node. With PeopleTools 8.54, you can use the drop down box to select different transfer method. Transfer method can be set to HTTP, HTTPS, FTP, FTPS, SFTP & XCopy. Partition scheduling provides capability for performing parallel processing and also for automation of batch execution of multiple processes. It helps in faster performance by breaking down a process that works on a large data set, to multiple parallel processes that work in tandem on smaller datasets. You can also execute multiple processes that process different data. You can execute a partition process either from the Partition Manager page or by using the Partition Schedule API in PeopleCode. Partition schedules can be configured to read values either from existing prompt tables of the fields chosen as partition fields or by implementing Application Class in PeopleCode which return the set of partition data values. Self-service scheduling allows you to execute processes and generate reports using context specific information without breaching the data security. You can execute self-service schedules using API or from any transaction page where the self-service schedule is configured. This schedule then retrieves mapped application data from the transaction page and uses it for the process execution. Additionally, based on the configuration, the user receives alert sliding windows giving the status of the process they execute and a link to the final report. PeopleTools 8.54 expands Search Framework usage with Process Scheduler and now you can search for reports and related data stored in database, based on a keyword and display the report containing the specific keyword. You can configure to receive dynamic slide-in alert windows to show the status of submitted process. This windows will appear in the bottom right on all PeopleSoft Pages showing the processing status. Once the process is finished, you will also get a final process status windows with a link to the report stored in report repository.